The foundation of all existence is built upon an energetic grid created by the resonant vibrations of the elements of existence, forming a blueprint for creation. Understanding the resonant energy and reciprocal response will allow you to more fully access the creative forces of the universe. 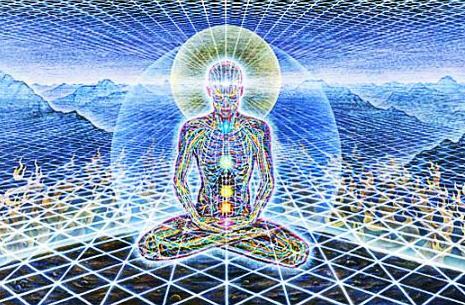 The harmonic response of the universe to itself is caused by the vibrational alignment of energies. All energetic frequencies of creation have their place in the universe, just like a puzzle with its multiple pieces, each individual element has a specific location in which it fits perfectly. You, as an expression of consciousness, have a unique vibratory signature. This aspect of your existence is not some limiting factor, but rather identifies your unique place and contribution to the entire universe. Within the expansion of consciousness and the ever-spiraling understanding of physical existence, your resonant vibration and energetic frequency can and will shift. Because you are here on planet Earth, it can rightfully be assumed that your unique energetic signature is in harmony with planetary consciousness. Some refer to the soul’s unique resonance as a tone, perhaps a note. There is value to identifying that tone and expressing it in song or the Ohm. This not only brings you into harmony with the vibratory frequency of consciousness but is also the opportunity for you to identify your unique resonance. You do not need to be a practiced singer, nor is it expected that you can carry a note – yet every individual, through practice in chanting the Ohm, can identify that unique frequency which seems to resonate internally within their being. For those not so versed in metaphysics can accomplish the same thing by singing a favorite hymn or a gentle song. It has been said that singing is praying twice. There is some truth to that because song causes your entire physical being to resonate with the tones you are emitting. Singing is good. Chanting is even better. Tonal incantations or singing are a valid means of adjusting your physical body to be in alignment with the internal frequencies of your soul. It is a purposeful, intentional adjustment of your physical frequencies to divine consciousness. Perhaps you have thought that the opposite could be true, and that also is fact. Be cautious and careful of the frequencies you resonate with. Violent, discordant frequencies create violent, discordant energies. We will not discuss the merits or the lack of some of the music being emitted into the airways, and we will allow you to make your own assumptions of the possible impact that music could have on your vibratory frequencies. What we will say, returning to the subject at hand, energetic frequencies draw automatically to itself other frequencies that are in harmony with it. The frequencies of your soul are going to draw to it that which resonates with it. It would be advantageous to see your physical being as an instrument that must be tuned to be in harmony with the universal orchestra in which it plays.